Jones Home Center or as it was originally named, Jones Supply, opened in 1977, but it began long before that. 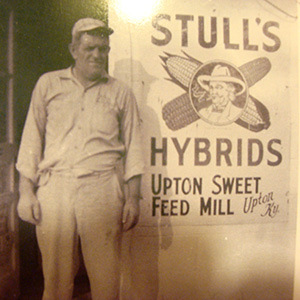 In the 1950s, my grandfather Harvey Jones started the Upton Sweet feed mill and ran it for almost 20 years. In the mill, he began branching out into hardware and farm supplies so that local people could buy what they needed for farming and building without driving miles to get it. Before long, he purchased the Upton Hardware next to the mill but sold the property in 1976. 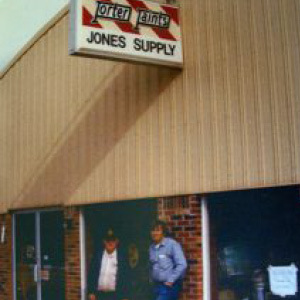 With his help, my father, Ralph Jones, built and opened a new store - Jones Supply- in 1977. 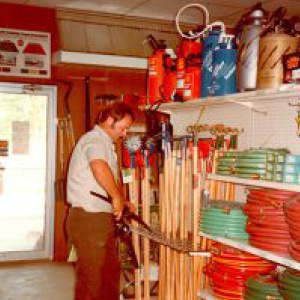 From the beginning, the store was more than just hardware but instead a full line building material dealer. The store started off small but little by little new products were added as we continued to make it possible for people from Upton, Bonnieville, Sonora and the surrounding areas to get everything they need right here. Early on we partnered with the hardware and building material cooperative Do It Best (DIB) as the main supplier of many of the products we sell. We are not part of a chain but members of a buying cooperative. 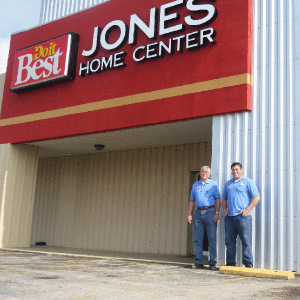 A reflection of this partnership, the name of the store was changed to Jones Do-it Center in 1992 and again to Jones Do it Best Home Center in 2002. The name has changed but the family has stayed the same and, in 2004, I joined the team as the 3rd generation to work in the business. Like my father and his father before him, I believe that our customers deserve quality products at competitive prices with outstanding knowledge and service. We have been blessed to have great employees over the years like Jimmy, Kathy, Jody, and Ronnie who provide superior service and have a wealth of knowledge through their combined experience of over 50+ years in this business. 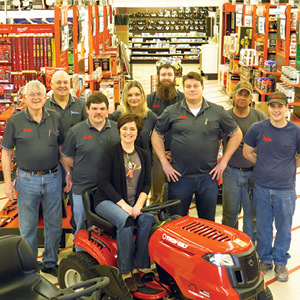 Like dad says, "We are much more than a hardware store and always have been." 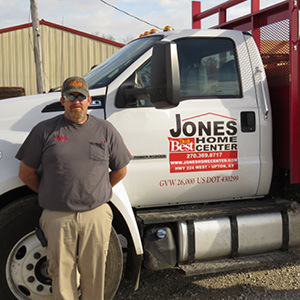 Jones Home Center is a full line rural home center carrying building materials, windows and doors, hardware, plumbing, electrical, lawn and garden, paint, floor coverings, kitchen and bath cabinetry, and much more. We stock over 15,000 items for residential, farm and commercial building, improvement and repair. If there is something you are looking for that you don't see in our store, just ask an associate about our special order program. Our warehouse stocks over 70,000 items, you can shop online and then ship it to the store using our Ship-To-Store program or come in and let us order for you. We serve the Hardin, Hart, Larue and Grayson counties from our location on Highway 224 just off 31w and 1 mile from I-65.